Photo: AP“Assad admitted that his forces are exhausted. But so are the troops of the rebels. The IS cannot any longer easily recruit from the reservoir of the international jihadis.” Picture shows a Syrian Kurdish sniper surveying the Syrian city of Ain al-Arab, also known as Kobani. In early August, the Foreign Ministers of Iran (Mohammad Javad Zarif) and Syria (Walid Muallem) and Russia’s Deputy Foreign Minister (Mikhail Bogdanov) met in Tehran to discuss the Syrian war. The Iranians, now emboldened by the nuclear deal, presented a plan for a solution to the fratricidal Syrian war. Iran’s plan has four steps: 1. Forge an immediate cease-fire; 2. Create a national unity government; 3. Rewrite Syria’s Constitution with a more expansive inclusion of minorities; 4. Hold national elections under international supervision. These points are not new. The call for a ceasefire has been on the agenda since 2011, and the other steps have been discussed in the United Nations and in various regional gatherings over the past four years. What is novel is that the proposal comes from Iran, with Russian and Syrian backing. The idea of a national unity government implies that President Bashar al-Assad would not have to withdraw from politics. But it does suggest that Damascus has softened in its view that President Assad must be allowed to serve out his new term in office. Reuters"The tightening strategic ties between India and Japan are obviously spurred by common concerns about China’s muscle-flexing in Asia." Photo shows Prime Minister Narendra Modi with Japan's Prime Minister Shinzo Abe at a signing ceremony at the state guest house in Tokyo on September 1, 2014. Wars are invariably associated with dates. Yet the global conflict that we call the Second World War is surprisingly difficult to date, especially in Asia. There are several options for its beginning: the Japanese invasion of Manchuria on September 18, 1931; the onset of the full-scale Sino-Japanese war on July 7, 1937; the British declaration of war against Germany on September 3, 1939; the Japanese attacks on various Asian countries starting December 7-8, 1941, depending on your time zone. The end of the war in Asia can similarly be dated to August 14-15, when the Japanese Emperor announced the surrender; or the formal surrender ceremony on September 2, 1945. The Chinese, for their part, have always observed September 3 as “Victory in the War of Resistance against Japanese Aggression”. Man’s inhumanity to man has long been a subject for moralization. We are all touched directly or indirectly by violent acts. Violence is the exertion of physical force so as to injure or abuse. Societies regulate the use of violence through socio-cultural customs and mores and through codified legal systems. Societies also have natural mechanisms for cooperation, to keep conflict in check, to channel aggression, and to overcome conflict. A major cause of violence in society is violence in the media. Several studies have shown a link between exposure to television violence and its propensity toward violent crime. If one defines security as not just external military threats but as a challenge to the effective functioning of society, the existence of violence in its various manifestations is one of the singular threats facing Indian society today. At the individual level, security is the provision of a relatively safe environment in which citizens do not fear violence or intimidation. If individual security is inversely related to the level of violence in society—the greater the violence, the less the security enjoyed by citizens. It is an inevitable by-product of societal conduct and is an implicit challenge to state authority and sovereignty. The threat is insidious rather than direct: it is not a threat to the military strength of the state, but is a challenge to the prerogatives that are an integral part of statehood. The terrorist attack on Mumbai once again brought the issue of the quality of Indian political leadership in focus. Nearly 200 people lost their lives and left the nation humiliated. Yet, the Home Minister of the state, the man responsible for security, had the audacity to term it as a small incident. When people came out in the streets to give vent to their despair, leader of a national party lampooned them and passed crude remarks. We had the disgraceful sight of a Chief Minister of a state ridiculing the father of a martyr who was undergoing tremendous trauma at the loss of his son. “If it had not been (Major) Sandeep’s house, not even a dog would have glanced that way,” was his contemptible comment. “God must be anti-India. He has been cursing India by inflicting such leaders on it. 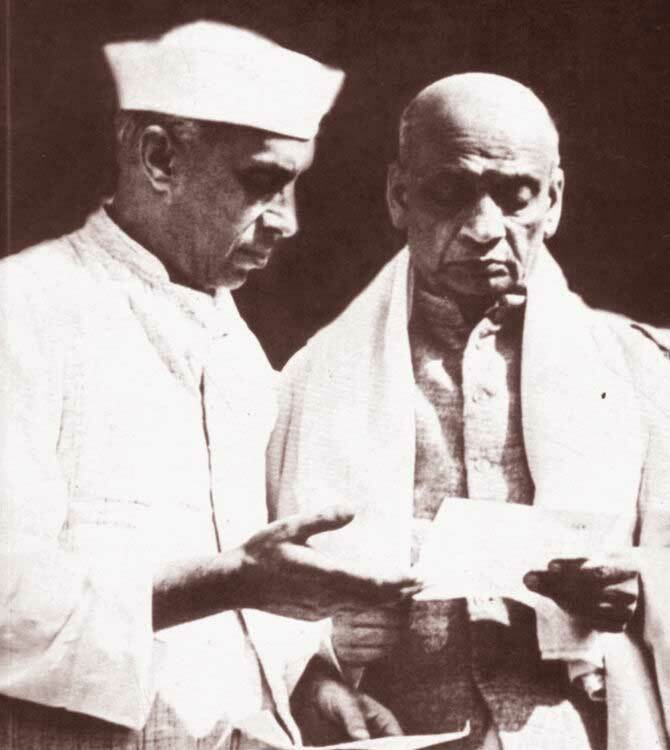 Sardar Patel died soon after Independence while lesser leaders survived. Every promising leader dies young while the corrupt oldies go on for ever,” is a common refrain. In 1913, war in Europe appeared imminent for the British; they finally realized that the treaties regarding Tibet signed with China (and Russia) had no relevance as they could not be implemented in practice. In these circumstances, London decided to call China and Tibet for a tripartite Convention to solve the Tibetan problem, secure a buffer zone between British India and China and ensure peace and stability in the region. Simla was selected as the venue of the Conference1and Sir Henry McMahon2 was to chair the tripartite talks. It was not an easy proposal; for months the Chinese were rather reluctant to sit at the negotiating table on an equal footing with the Tibetans. But diverse factors were putting pressure on them. They knew that the Dalai Lama was close to some British officers such as Charles Bell. They could fear another Lhasa Convention where they would perhaps not even be asked to participate. 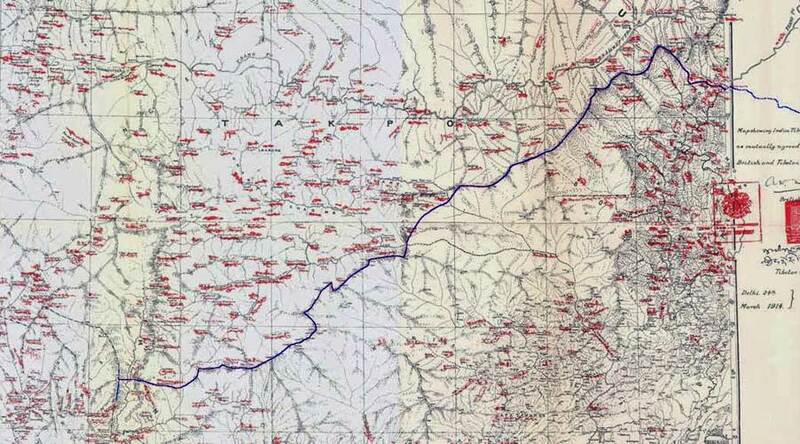 In Kham, the military situation was not favourable to the Chinese as most of the territory captured by Zhao Erfeng had been recovered by the Tibetan troops. The Tibetan army was now better organised and arms and weapons were imported. After the Dalai Lama’s return, the Tibetan army was given a British type of training. For any cogent action against a potential or a festering problem, the rudimentary requirement for decision makers is to be convinced that there is a problem, and then define its import. This simple prerequisite, nevertheless, eludes India’s decision makers. It is mainly because of our hypocritical propensities. Admittedly, certain amount of hypocrisy is inevitable for the purposes of governance and nation-building, but when stretched beyond credulity, it becomes self-defeating. India has unfortunately fallen into this self-created trap. We have mastered the art of double speak—off the record and on the record. On most panel discussions on television that I have been invited to, the panelists have a set of opinion on camera and another set of opinions off camera. In our bid to be politically correct, we deliberately ignore the obvious. As a result, our internal and external security policy, is more often than not, out of sync with reality, and is rather an effete compromise. 1. 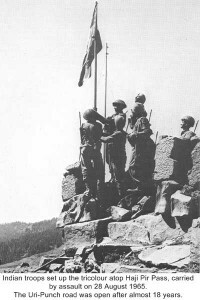 It was observed that the basic tactical concept of the PAK Army did not vary fundamentally from our own. In its application, however, there was an unmistakable evidence of the dominant influence of American and Chinese techniques of warfare. This selective grafting of tactical doctrine did not, however, pay the expected dividends for want of imaginative implementation. 2. The American version was exemplified by the bias for massive fire support, the bold use of armour, relegating the contribution of infantry to a secondary place, and the adoption of the semi-mobile system of defence. Towards the closing phases of the conflict, however, there was an appreciable drop in the flagrant use of massive artillery support and the extravagant employment of armour. This was due to lack of indigenous backing and the fact that the expected stream of American replenishments dried up on account of political reasons. The situation would have worsened had the war continued for any length of time. 3. The Chinese concept found its expression in the multi-directional attack, emphasis on intensive digging and tunnelling in villages, the employment of paramilitary forces for infiltration and the waging of guerilla warfare under the guise of a ‘liberation movement’. Resort to jitter tactics especially in the mountains was another innovation copied from the Chinese who had employed this technique with great success during the 1962 debacle. NEW DELHI — The first time I ever saw my grandfather’s name written out was in a leather-bound register of a thousand pages. Each page was busy with names, and it took me a while to find his: misspelled, in diminutive type, buried deep in the thick, creamy leaves. It was late spring, and I was seated inside a shed at the Delhi War Cemetery, reading with my chin tilted up so the sweat dropped away from the paper: I couldn’t risk blotting out the memory of a war hero. Construction activity is progressing in the southwest corner of Pakistan’s Khushab nuclear site, south of reactors 2, 3, and 4. The new building at the site appears externally complete and very similar to a building northeast of reactor 3. Noteworthy are also two new clearings that could be for new buildings. One area seems to have been cleared in preparation for the installation of new foundations. The other area already shows new foundations. However, it is still too early to make a final judgment on the nature of the construction. Signatures visible through recent commercial satellite imagery do not permit a definitive assessment of the site’s purpose. ISIS will continue to monitor this construction. Read the full imagery brief here. With Mullah Omar's death there is uncertainity over Taliban's future. India must engage all actors including Taliban. The announcement of the death of Mullah Omar, the reclusive leader of the Taliban, is a potential game-changer in the on-going peace negotiations between theAfghanistan government and the Taliban. The office of Afghan President Ashraf Ghani issued a press release on July 29, just days before a second round of parlays between Kabul and the Taliban were scheduled to be held in the Pakistani resort town of Murree, confirming that Omar had died in April 2013 in Pakistan. The announcement of Omar’s death itself raises several questions. What was the source of information that led to the Afghan government’s press release? Was it the Pakistanis who informed the Afghan government of Omar’s death, as Amrullah Saleh, former chief of Afghanistan’s National Directorate of Security (NDS)believes? This certainly is one possibility. Pakistan has steadfastly refuted what is effectively the worst-kept secret of the fifteen-year war by claiming that Omar was in hiding in Afghanistan and was not in fact living in Quetta, the capital of Pakistan’s Balochistan province. It would have been odd, then, for them to confirm the death of someone they claim wasn’t even living in their country. 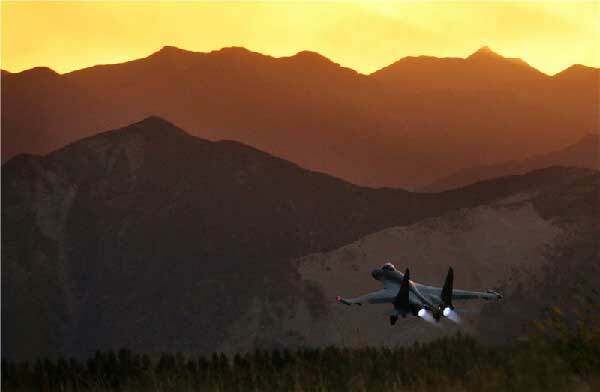 In June, Beijing reiterated its ‘peaceful’ doctrine in a White Paper (WP) on ‘China’s military strategy’, which affirmed that the country generally enjoys a favourable environment for development, though external challenges are increasing. 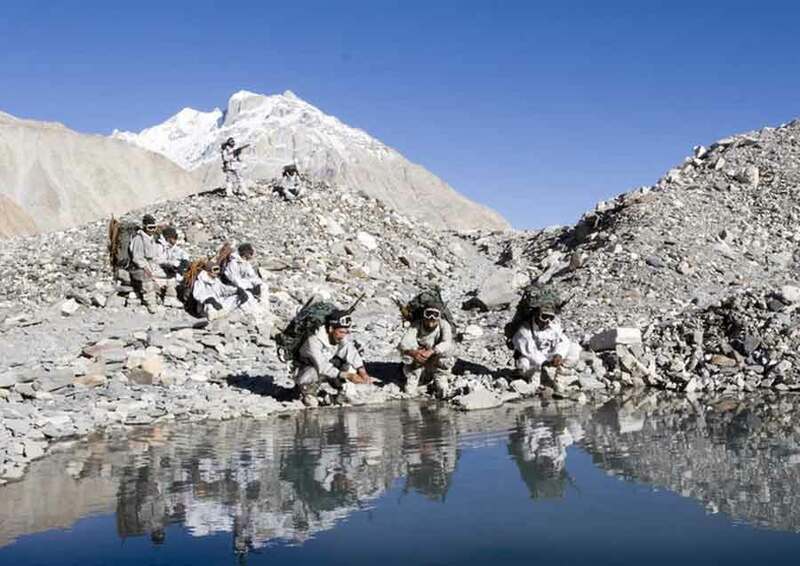 Xinhua reported: “A joint military drill that started in late July, entered a live fire stage in a plateau area in southwest China’s Sichuan Province.” ‘Plateau area’ is another word for Tibet, i.e. India’s northern borders. China has shocked global financial markets by devaluing its currency for two days running. August 11 saw a record 1.9% fall in value, followed by another 1% decline on August 12. The move by the Chinese central bank marks the yuan’s largest devaluation in two decades, sending a ripple effect across the regional Asian market and global financial markets. Stocks, currencies and commodities came under heavy pressure as money managers feared it could ignite a currency war that would destabilise the global economy. Both the Nikkei stock market index in Japan and Hang Seng in Hong Kong were down more than 1%. Meanwhile the Singapore and Taiwan dollar bothhit five-year lows on the news. It was a similar story for Indonesia’s rupiah, the Philippine peso, South Korean won and Malaysian ringgit. What Is It We Want the Chinese Hackers to Stop Doing? The U.S. debate over how to respond to the embarrassing breach of government personnel databases raises many questions, but one of the hardest has been largely overlooked amid calls for “retaliation” and “deterrence.” China’s government is the “leading suspect” in the data theft, and if it is indeed responsible, what does the U.S. government want them to stop doing? The continuing consolidation of power has been the most noticeable trend under the leadership of President Xi Jinping since the 18th National Congress of the Chinese Communist Party in November 2012. Undoubtedly, a key component in this strengthening of both Xi’s personal power and his new administration’s authority has centered on the military domain. Xi has gone about the consolidation process through several important political and tactical moves, including the purges of the two highest-ranking generals under the previous administration on corruption and other charges; the arrest of over 40 senior military officers on various charges of wrongdoing; large-scale reshuffling of generals between regions, departments, and services; ongoing efforts to reform the People’s Liberation Army structure and operations; and, most importantly, the rapid promotion of “young guards” (少壮派) in the Chinese military. A secret National Security Agency document has revealed the massive nature ofChina’s cyberattacks against the United States, with nearly 700 intrusions in private-sector and government networks. The cyberattacks were outlined on a map that pinpoints what are described by the electronic spy agency as “victims of Chinese cyber espionage over the past five years.” The map was first disclosed by NBC News. The locations include Washington and the entire Eastern Seaboard, as well as key areas such as Silicon Valley in California, the locations of U.S. nuclear weapons laboratories, and nuclear missile and military bases. NSA detected the most attacks in California, with numerous strikes. THE DISCLOSURE that Russia was responsible for penetrating the unclassified e-mail system used by the Joint Chiefs of Staff should be disconcerting. Unfortunately, many accounts of cyberattacks these days seem to produce yawns. A major Hollywood studio discovered its computers ruined; a sensitive U.S. government trove of personnel information was stolen; corporate secrets were hacked and used for insider trading; major retailers and a health-care provider were looted of customer data — yet the United States has been complacent and lazy in responding. The attacks on the private sector have been unrelenting, and the onslaught against Sony Pictures Entertainment, discovered in November, which President Obama blamed on North Korea, seemed to ignite a new determination in Congress to act. The House passed legislation and, before the August recess, the Senate seemed poised to consider a bill that would facilitate sharing information between government and business about malware on the private networks. The bills are no panacea, and privacy concerns remain an issue, but progress was evident before the recess. Hopefully momentum won’t be lost this autumn. We posed the question “Is there really an expat exodus in China?” and set out to find the answer. Foreigners continue to flock to China for all it’s positives while some loud, media-savvy long-term expatriates have made dramatic exits from China, the country they loved. This week marks the one-year anniversary of the U.S.-led airwar against the self-declared Islamic State, which in October 2014 was named Operation Inherent Resolve (OIR). What began with “targeted strikes against ISIL terrorist convoys” to protect the Iraqi city of Erbil, according to President Obama, expanded into a pledge “to degrade and ultimately destroy” the Islamic State, which has recently been altered to “lasting defeat,” by Secretary of Defense Ashton Carter. Some U.S. military officials consistently claim that the Islamic State is losing because “they’re defending more than they’re on the offensive. Their attacks are smaller, they are more focused, and they’re less enduring,” as Brig. Gen. Kevin Killea, chief of staff of the Combined Joint Task Force – OIR, described it on July 31. Other officials echo the sentiment of Lt. Gen. Bob Neller, who told the Senate Armed Services Committee on July 23 that the Islamic State was not winning: “I don’t believe they’re winning either, I believe they’re at a stalemate.” Everybody in uniform or the U.S. intelligence community that I have spoken to about this would either agree with Neller’s assessment or be more pessimistic about the U.S.-led coalition’s progress toward either Obama or Carter’s declared strategic objective. We know that our universe has already lived through great number of exciting phases. But new research released this week shows the universe has long passed its peak and is slowly but surely dying. The research was presented at the year’s largest gathering of astronomers at theInternational Astronomical Union’s General Assembly in Hawaii. But before we start writing any obituaries, let’s have a quick recap of the good times. When the universe was less than a second old and more than a billion degrees Celsius, it was hot enough for exotic particles to freely pop in and out of existence. As the universe expanded, it cooled and was no longer able to produce hugely energetic particles. When the US embarks on perennial quantitative easing, that's OK. When the EU does QE as well, that's OK. But when the Bank of China decides it's in the best interest of the nation to let the yuan go down a bit instead of infinitely up, that's Armageddon. It took the Bank of China to devaluate the yuan on two consecutive days — moving within the 2 percent band that it's allowed to — for the proverbial global financial banshees to go completely bonkers. So this is essentially exchange rate policy liberalization — not a currency "war", as the frenetic spin goes from Washington/Wall Street to Tokyo via London and Brussels. Over the last 18 months, against the backdrop of the war in Ukraine, the relationship between Russia and the West has deteriorated considerably. One aspect of the confrontation, as previously documented by the ELN, has been a game of Russian-instigated dangerous brinkmanship which has resulted in many serious close military encounters between the forces of Russia and NATO and its partners over the last 15 months. Another aspect, however has been the increased scope and size of the military exercises conducted by both Russia and by NATO and its partners in the Euro-Atlantic area since the Ukraine crisis began. To assist the public and wider policy community in understanding the realities of this new and dangerous security environment in Europe, the ELN has prepared a short policy brief and two interactive mapspresenting in detail the anatomy of two recent, large scale military exercises. Noble Jump, the first deployment of NATO's new Very High Readiness Joint Task Force (VJTF), a force structure designed to provide a rapid response to infiltration of allied territory by enemy special forces and irregular personnel. This article by ORG’s founder and patron, Scilla Elworthy, is based on a keynote address given to the “Making Deterrence work in the Twenty-first Century” forum held at Merton College, Oxford, 15 July 2015, hosted by the Ministry of Defence’s Development, Concepts and Doctrine Centre (DCDC) and the University of Oxford Changing Character of War Programme. Things have changed a great deal since Oxford Research Group first started dialogue and discussion with nuclear weapons decision-makers in the UK, the USA, China, France and the then Soviet Union. This was in the late 1980s and continued through 2000. The UK Ministry of Defence (MoD) has recognised the growing complexity of issues faced, and accepted that insight can come from many sources. Congratulations are in order on the distance moved, balanced with expectation that this reflects a continued commitment to evolution, rather than a return to the bad old days. There has also been substantial progress within the movements opposed to nuclear weapons – there is more effort to understand, engage, and treat seriously the strategic issues involved. In ‘Unmanned,’ William M. Arkin examines the proliferation of drones. At the time of the 9/11 attacks, the U.S. military operated fewer than 200 unmanned aerial vehicles, known as drones. Today that number has ballooned to roughly 12,000. In 2001, drone attacks totaled 22,000 combat flight hours. A decade later the same measure had escalated to 550,000. The exploding number and deployment of drones have consumed a burgeoning allocation of financial resources. From 2001 to 2013, government funding for drones and other unmanned systems increased from about $350 million to well more than $5 billion a year, financing a fleet that is continuously in flight above Afghanistan, Pakistan, Yemen, Syria, Africa, Latin America and other countries and regions. When Der Spiegel and Jacob Appelbaum published leaked pages of the National Security Agency’s ANT Catalog—the collection of tools and software created for NSA’s Tailored Access Operations (TAO) division—it triggered shock, awe, and a range of other emotions around the world. Among some hardware hackers and security researchers, it triggered something else, too—a desire to replicate the capabilities of TAO’s toolbox to conduct research on how the same approaches might be used by other adversaries. In less than 18 months since the catalog’s leak, the NSA Playset project has done just that. The collection boasts over a dozen devices that put the power of the NSA’s TAO into the hands of researchers. Project creator Michael Ossmann—a security researcher, radio frequency hardware engineer, and founder of Great Scott Gadgets—detailed the tools at a presentation during the Black Hat conference in Las Vegas last week, and he talked with Ars more about it this past weekend at DEF CON 23. The Department of Homeland Security (DHS) finally has someone to lead its increasingly important cybersecurity hub. Andy Ozment, currently the assistant secretary of the DHS Office of Cybersecurity and Communication, will assume the top role. John Felker will run day-to-day operations, moving over from a senior private sector cyber position at HP Enterprise Services. The DHS cyber center — known as the National Cybersecurity and Communications Integration Center (NCCIC) — is the government’s main intake facility for private sector cyber threat information. The center analyzes the data, dishing out warnings and advice to other government agencies, as well as to private companies. “Dr. Ozment and Mr. Felker will provide a combination of operational experience, leadership, and strategic insight needed to take the NCCIC to the next level for our cybersecurity,” Homeland Security Secretary Jeh Johnson said in a statement. Lawmakers have been pushing to give the NCCIC a greater role in defending the nation’s networks from hackers. The operationalization of the Cyberspace Domain at the tactical-level continues to exacerbate both tactical theorists and practitioners alike. For theorists, much of this stress and anxiety stems from a deficiency in unclassified historical examples and the abstractness of cyberspace as a warfighting domain. The lack of historical examples and cross-domain nature of cyberspace makes it difficult to fit cyber-related tactical concepts into traditional doctrine. For tactical practitioners who employ troops on the battlefield, the lack of a concise and communicable Mission Essential Task List (METL) to assist commanders in understanding, visualizing, and describing operational concepts to their staffs continues to limit cyberspace integration into maneuver. The purpose of this paper is not to provide a concrete solution on which to base the tactical-level operationalization of cyberspace off of, but rather to establish an intellectual target reference point for Army thinkers to “adjust fire” off of as they develop the Army’s cyber way-ahead for the next decade. This paper proposes one hypothetical task organization structure in the form of a Cyber Electromagnetic Activities (CEMA) Troop and an example METL that could exist in the Army in 2025. 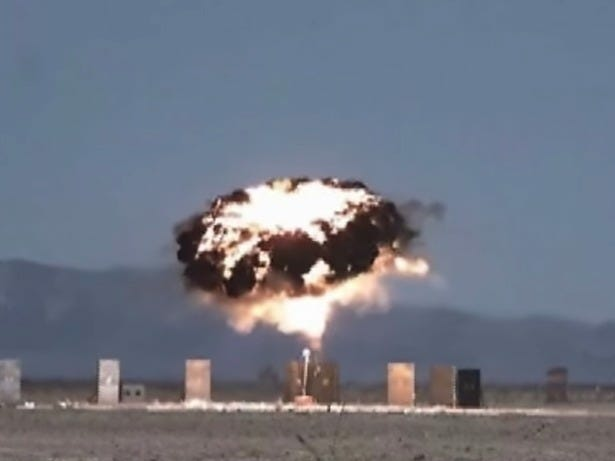 Additionally, the paper offers a hypothetical operational narrative for one potential application of CEMA at the tactical-level that could become a reality for the Army over the next decade and beyond. To nest under ARCYBER’s ongoing initiative to operationalize cyberspace at the tactical edge, this paper will refer to tactical-level CEMA as Cyber Support to Corps and Below (CSCB). Catherine Easton does not work for, consult, own shares in or receive funding from any company or organization that would benefit from this article, and has disclosed no relevant affiliations beyond the academic appointment above. Lancaster University provide funding as a founding partner of The Conversation UK. The DoD defines cluster munitions as "munitions composed of a non reusable canister or delivery body containing multiple, conventional explosive submunitions." There is widespread agreement among the public and in the foreign and defense communities that the United States should avoid “another Iraq” or “another Afghanistan”—that is, another large-scale, long-term, and high-cost stability operation. President Barack Obama’s reluctance to put “boots on the ground” in Iraq is but the most recent example of this reaction against the high costs and questionable outcomes of the conflicts in those two countries. Former Defense Secretary Robert Gates may have been particularly blunt when he declared that anyone advising a future President to pursue forcible regime change in the developing world “should have his head examined,” but the sentiment is widespread. Worse than having to fight another Iraq or another Afghanistan, however, would be if the United States were yet again unprepared for such a contingency—as occurred when it divested itself of counterinsurgency capabilities after the policy community united against “another Vietnam.” This article considers the challenge of maintaining readiness for large-scale irregular warfare (IW) contingencies when the national mood has so decisively turned against such operations. Capabilities Based Planning. It just rolls off the tongue, doesn’t it? Pure poetry. Not really. It’s haute jargon, Pentagon style, the kind of defense concept that mystifies outsiders and repels invaders. And though the concept predated Donald Rumsfeld’s tenure, he embraced it and enshrined it in his 2001 Quadrennial Defense Review as a tool to promote transformation of the military. But this is not purely a history lesson: The ghost of that jargon past still haunts the 2015 defense budget Congress just (finally) passed. It didn’t start out as such a bad idea. The end of the Cold War did not mean it was safe to mothball U.S. armed forces. Forgive my pessimism, but war seems to be an inevitable corollary to the human condition. One of the great tasks of nations is how to stay out of wars and if that’s not possible, how to win them. But it can take decades to build new military skills and weapons, so not knowing what threats the nation might face in the future was an investment challenge, not a vacuum. This week, four retired service chiefs wrote a letter to the President of India, invoking his capacities as Supreme Commander of the Armed Forces and First Citizen to intervene in the ongoing agitation for One Rank One Pension (OROP) by military veterans. The wording in the letter is alarming: they argue that the "denial of OROP is merely the last straw that has exhausted the [veterans'] patience", and though the agitation has "thus far, remained in accordance with the armed forces tradition - peaceful, disciplined and dignified," they warn that "there is every possibility of the situation getting out of hand." The four former chiefs call on the President to invite the veterans' representatives to discuss the issue before requesting them to discontinue the agitation. 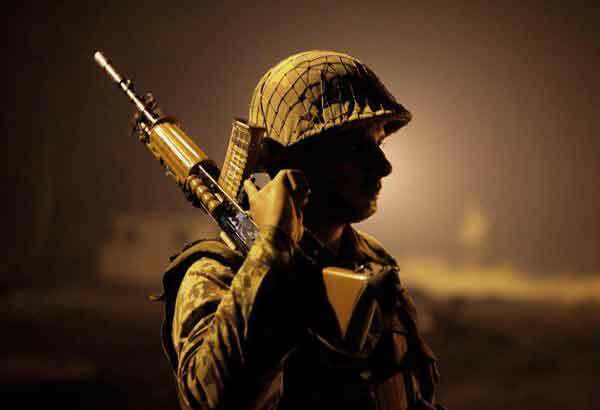 More than military modernisation, structural reform or defence strategy, the primary defence issue on the government's table has become one of pay and pensions. Worse, the OROP agitation has brought about an unprecedented politicisation of the armed forces (for the veterans often express what service personnel cannot) the contemporary roots of which can be traced back to the wage bargaining during the Sixth Pay Commission in the United Progressive Alliance era. A situation has thus come to pass where some veterans have threatened to intervene in the upcoming Bihar state Assembly election campaign. They certainly have the right to do so, but it is not a wise thing to do.